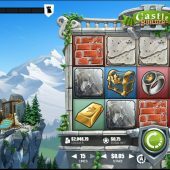 Castle Builder 2 slot is the long-awaited sequel to (guess what?) 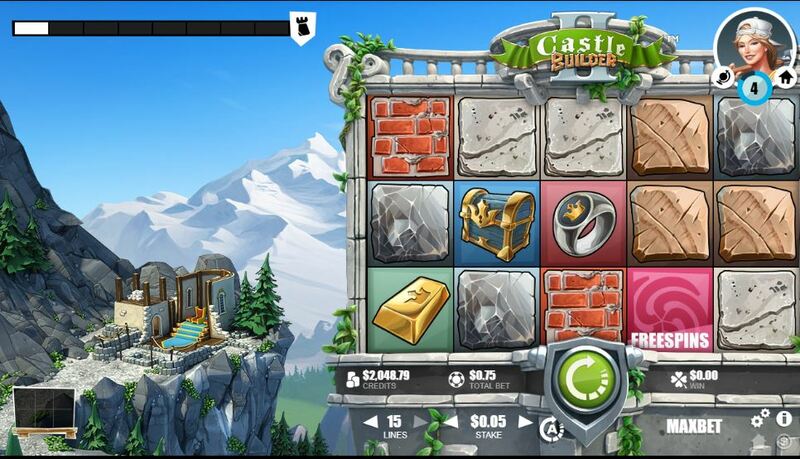 Rabcat's original Castle Builder game also released via Microgaming into the various Viper Client casinos they provide. The original was quite popular but criticized by some for the very low volatility and lack of big win potential and indeed because of this when it appeared in the multi-platform casinos via Quickfire it was usually prohibited from bonus wagering like Thunderkick's 1429 Uncharted Seas. The format is similar here but we get different new worlds to explore and slightly higher win potential, so can these Castles actually build us a nice raise for our bankroll? We have the reels offset to the right as our castles need building plots and they are on the left in the mountains that make the background. The 15 pay lines and 5 reels of 3 rows are similar to the original though as is the construction process! the icons consist of various building materials and items pertaining to the Kingdom in which we reside. You can pick a character and the reels will offer different materials according to their building skills. You will see a meter on the top left which will have 5 or more bars to fill, and every winning line of building materials fills in a small block on the bottom left with 6 squares. Once filled this then completes a bar on the main meter. Once the bar is filled the Castle is built and you get to choose a partner to marry, and are paid a dowry based on the value of your play up until that point, so changing stake cannot cheat this Kingdom of its gold! You have then completed that Kingdom on the map and can choose another or continue to play in any Kingdom you've completed. Pays can be quite good as 5 Wilds will pay 333x bet as will the Crown symbol. Chests pay 66x, Gold Bars 33x, Rings 16x with the remainder being building materials. Iron pays 7x, Granite 3x, Bricks 2x and lastly Wood 1x for 5-of-a-kind. The dowry is affected by the materials used to complete the Castle, so if you used a lot of Iron (being a higher paying material) the cumulative award will be bigger. As you progress through the Kingdoms the Castles become harder to build but the cash dowries grow accordingly as does the choice of partners to marry. If you see 3 or more pink scatters for free spins, you get 10, 15 or 20. there are no enhancements at all as they just serve to accumulate more materials wins to assist the building process and thus have some free contribution to the next available level completion award. You cannot retrigger them either.